British tennis player Cameron Norrie enjoyed some quality time off before kick-starting his campaign at the ATP 250 event in Los Cabos, Mexico, earlier this week. 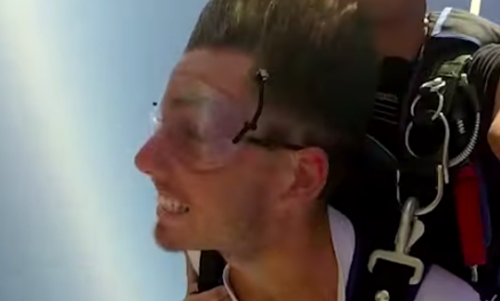 Norrie took some time off practice to enjoy his first experience of jumping off a plane for skydiving. The ATP later posted a video of it on YouTube. “This is actually my coach’s early birthday present for me. I just always wanted to do skydive and I felt like Cabos is not a bad place to do it,” he said. “I think it was supposed to be just 45 seconds freefall, but it felt like 10 seconds and just really beautiful views from up there,” the 22-year-old added. And it’s turning out to be a good week for Norrie as he has already made it to the quarter-finals of the event, having registered straight-set wins over Prajnesh Gunneswaran and Feliciano Lopez so far. He is scheduled to lock horns on Spain’s Adrian Mannarino in the last-eight stage on Friday.